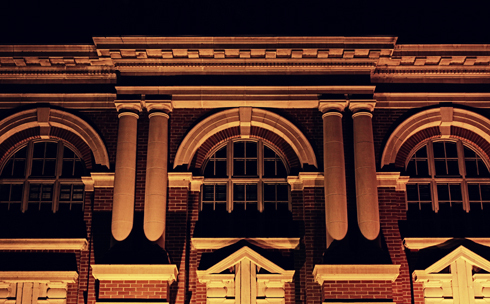 In addition to being a truly stunning building by day, the Medicine Hat courthouse is one of the few structures (in contrast to the Saamis teepee anyway) that actually has an evening lighting scheme. 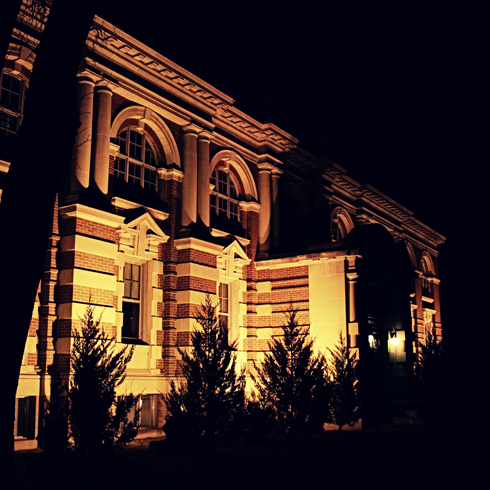 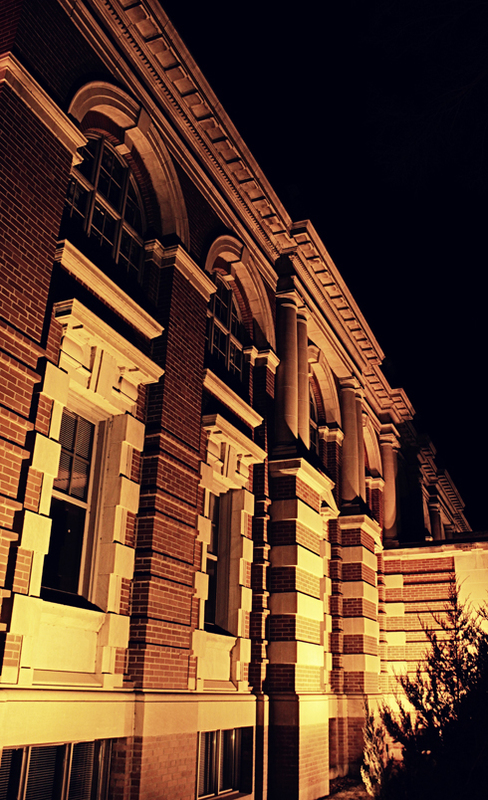 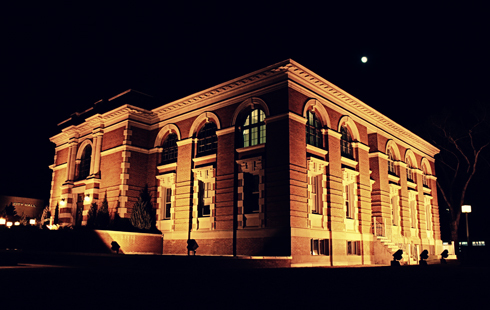 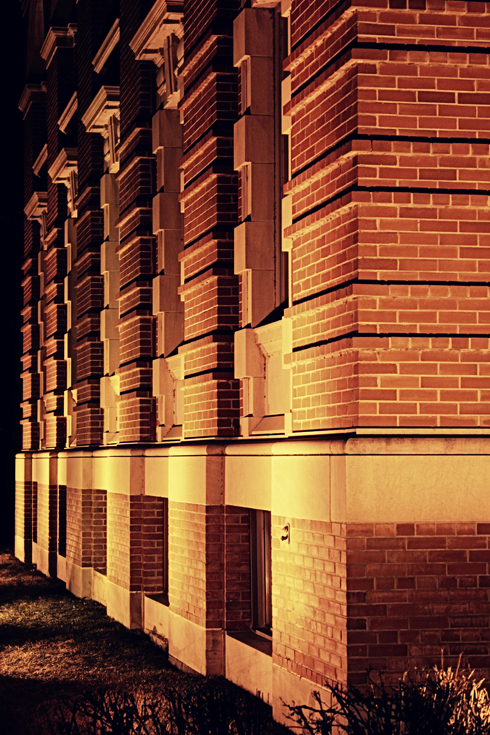 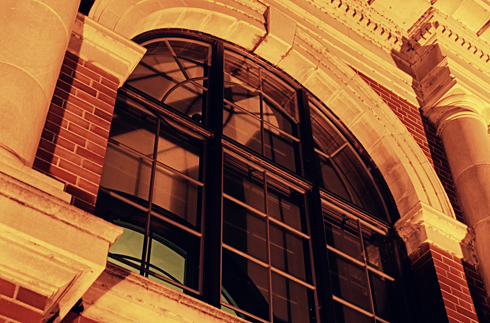 The building is surrounded by numerous spotlights that bathe the brick and stone details of the structure in a warm orange and yellow glow. 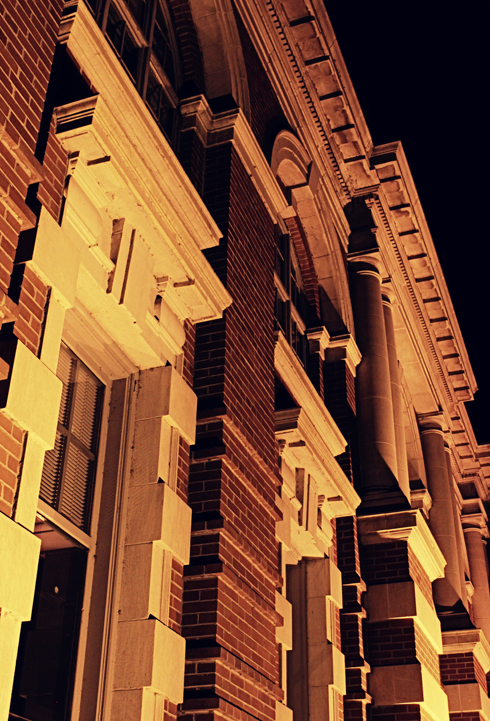 If the building didn't standout already, the lights really make the details of the courthouse pop. 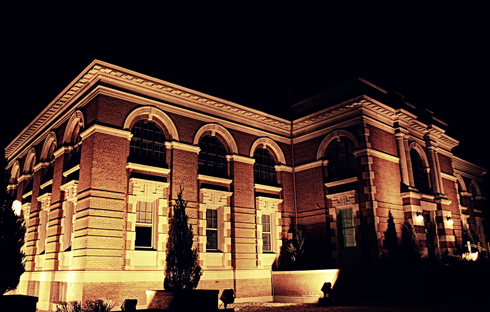 It especially draws your eye when viewing it from the other side of the South Saskatchewan river. 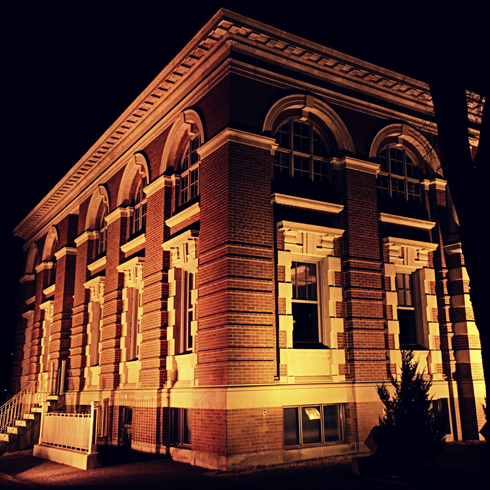 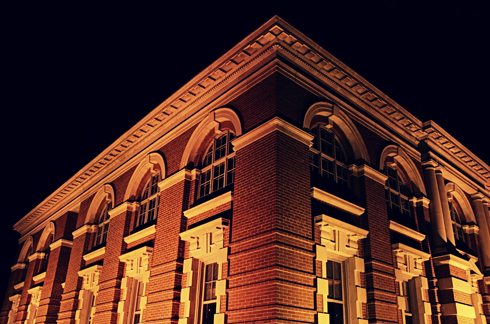 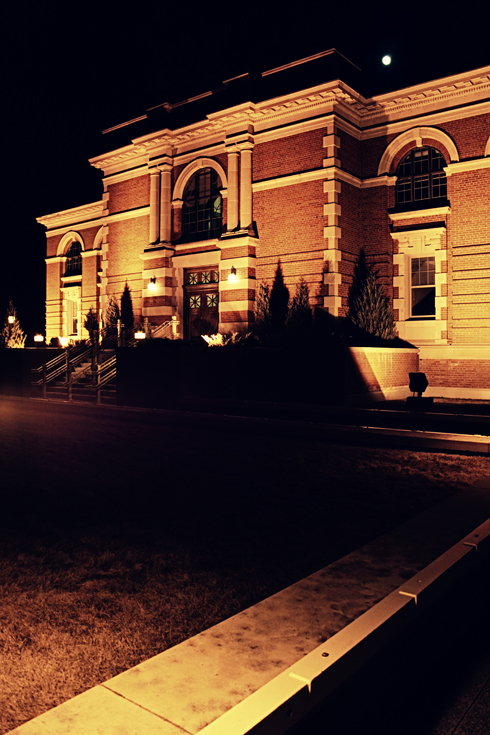 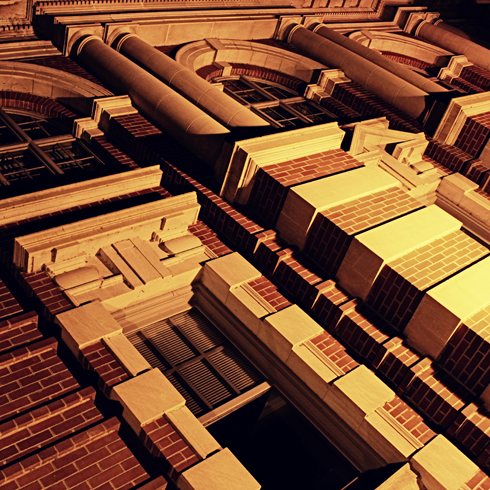 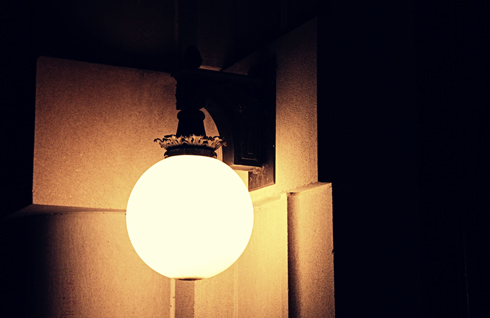 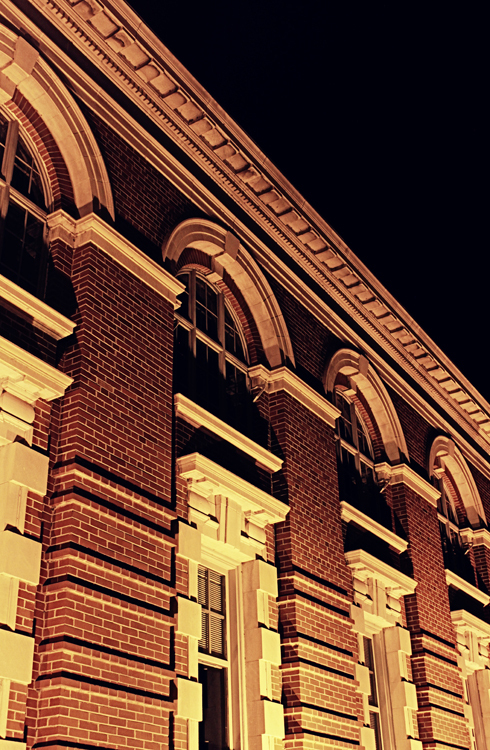 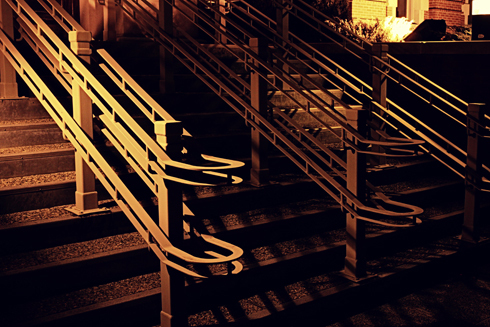 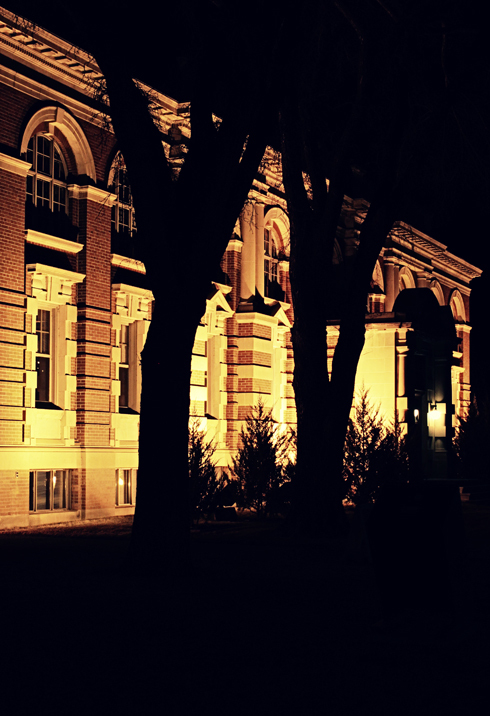 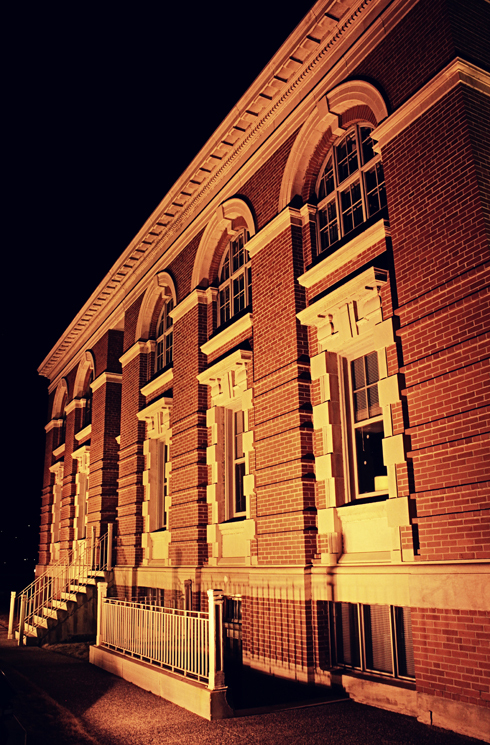 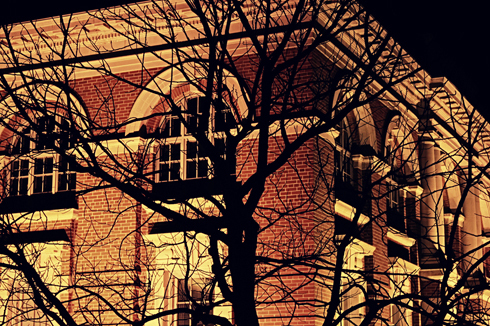 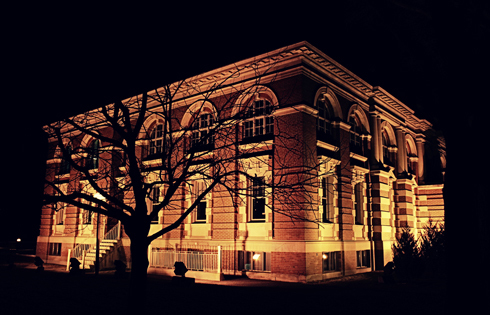 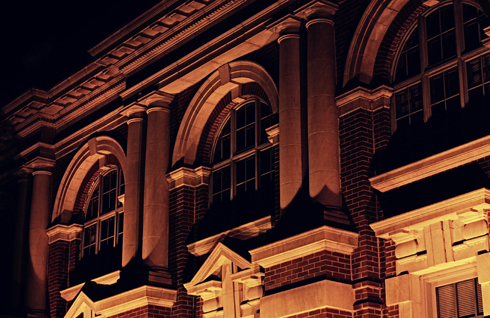 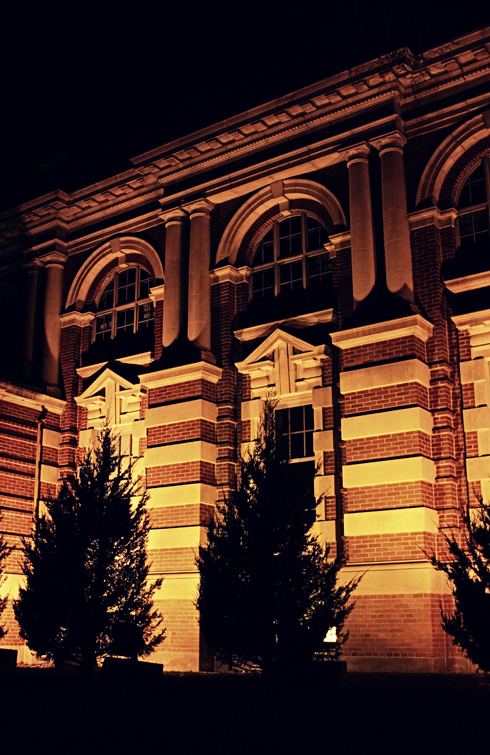 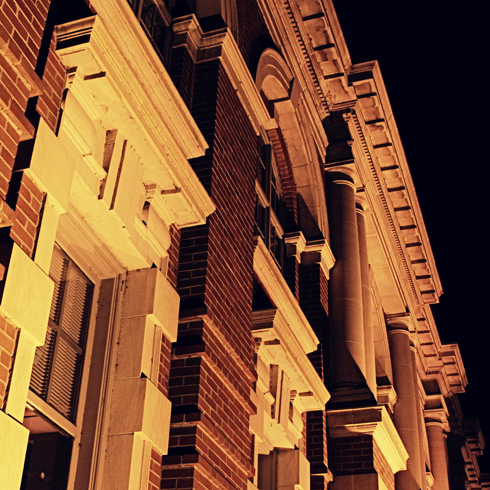 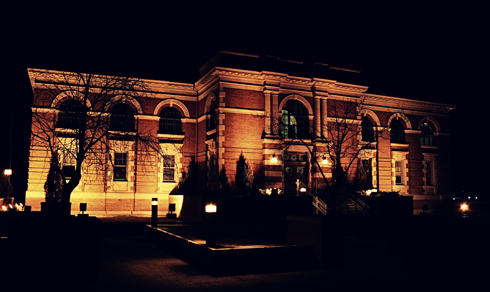 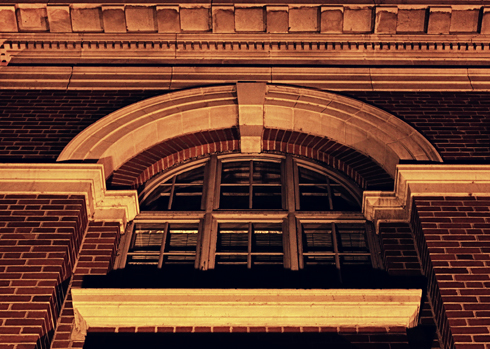 If anything, the nighttime lighting only emphasizes the architectural embellishments that make the courthouse such an iconic local landmark.